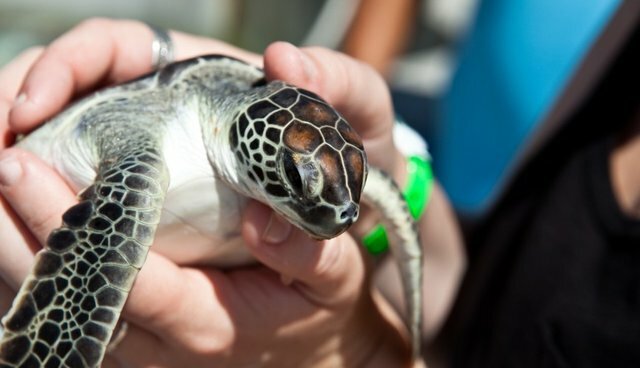 Nearly 140 turtles made their way back to the ocean this week after they were rescued off off the northern Gulf Coast of Florida. When the temperature drops suddenly, turtles go into a state of shock, and can die if they are not rehabilitated. Luckily, a team of volunteers and rescue workers comes to save the day. After fully recuperating, the turtles seem eager to get back home -- the guy above can attest.